A Grateful Community United to Give Back to Northwestern Medicine Organ Transplant. 10% of this purchase will be donated to Transplant Village (TV). Custom Transplant Village information will be placed on the back of card for Styles C-F. Styles A-B and "Packages of 12" will have the standard Eclectik back of card (i.e. There will not be any information about TV on the back of card, but 10% of the sale will go back to TV). Scroll to the bottom of page to see a description of styles (Styles A-F) under the Bulk Pricing Chart. 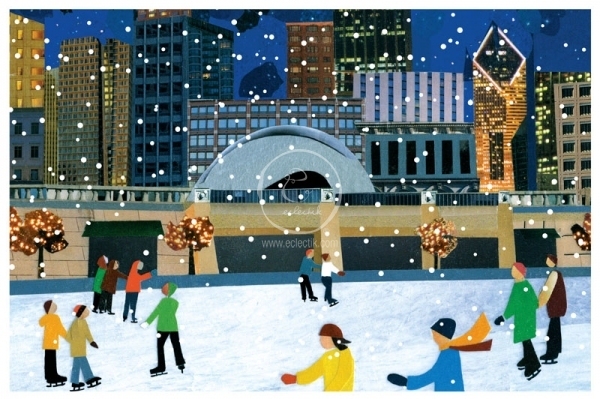 Inside Reads: Enjoy the Sights and Sounds of the Season, Happy Holidays!